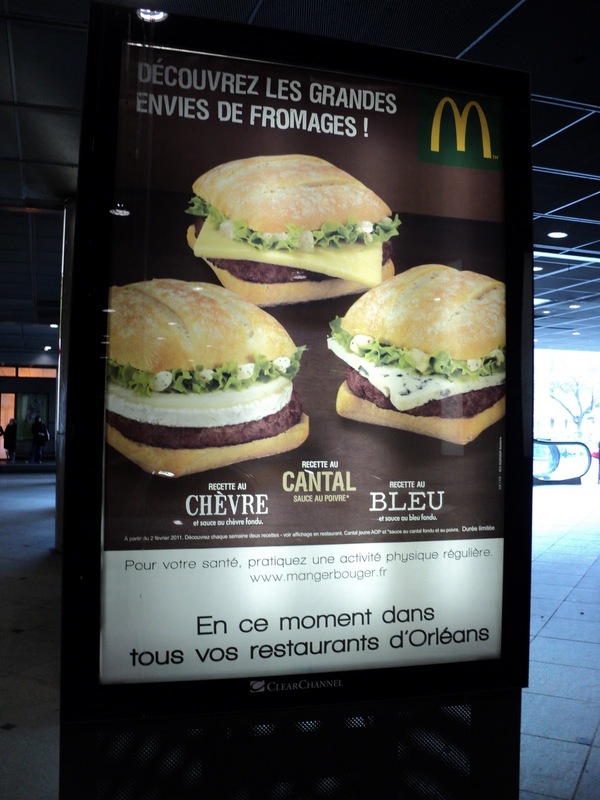 French Photo Du Jour: I Can Haz Fromage Burgers? In fact, for a limited time, you can have them with three oh-so-French cheeses... goat cheese, Cantal (named for the Cantal Mountains in the middle of France), and blue cheese. The sign says these are available in Orléans, but they've been launched all across France as well. Note that underneath the burgers, it says "For your health, practice a physical activity regularly." The web site listed, www.mangerbouger.fr, refers to eat/move.